WHY WILL GOD REINSTATE THE ANIMAL SACRIFICE IN THE MILLENNIUM? Shalom. Our teaching this morning will be from Exodus 29.34-46, but we’ll start by reading from Verse 31. The Bible spends quite a bit of time on the animal sacrifices which GOD appointed as the way to make atonement for the sins of the people. Sin is breaking The Law of Moses which are GOD’s Laws. Of course there is no Temple in Jerusalem today. The Romans destroyed it in 70 C.E., A.D. making it unlawful to sacrifice animals. Yeshua The Messiah is our Atonement for all our sins. That was the central purpose for His first coming, to give His Life to make atonement for the sins of His people and all the world. John 12.27. However, The Bible teaches that when Messiah returns, He will reinstate the animal sacrifice in The Millennium at the entrance of the door at The Millennium Temple. And we’ll learn in this study why The LORD will bring back the animal sacrifice in The Millennium even though Messiah Yeshua is our Atonement forever. And The Messiah will be living among us in Jerusalem. And we’ll get to that in a moment. EXODUS 29.36 GOD commanded the Jewish High Priest to offer a young bull for a sin offering for atonement every day. That is a statute forever when there is a Temple in Jerusalem. EXODUS 29.37 This Commandment is for the ordination of the Priests. Seven days an atonement was made for the altar. And whoever or whatever touched the altar became Holy. EXODUS 29.38 Two lambs of the first year were offered daily to The LORD for atonement continually. That is forever as long as there is a Sanctuary in Jerusalem. Continually in Hebrew is TAH’MEED meaning forever. EXODUS 29.39-42 These offerings must be continued forever throughout your generations at the door of The Tabernacle of the Congregation before The LORD. EXODUS 29.43-46 GOD will Sanctify The Tabernacle by His Glory, and He will Sanctify the altar and the Priests who minister to Him in the Sanctuary. And GOD will dwell among the children of Israel and will be their GOD. And they will know that it is He, The LORD their GOD Who brought them forth out of the land of Egypt. For many years, I have thought why will there be animal sacrifices for atonement in The Millennium when The LORD GOD, Yeshua The Messiah is our Atonement forever, and He will be living with us bodily in The Millennium, Face to face? The LORD GOD has it written in His Law of Moses, as we just read. He commands His Jewish people to offer animal sacrifices to Him throughout our generations. And as Isaiah 66.22 reads, Israel and the descendants of Israel, the Jewish People will remain before The LORD GOD forever, as the new heavens and the new earth will remain before Him. So why will The LORD GOD reinstate the animal sacrifice in The Millennium when we already have our Atonement for our sins forever through Yeshua The Messiah? Now, Ezekiel Chapters 40-48 are prophesies of The Millennial Temple that will be built in Jerusalem when Messiah returns. But some Bible expositors interpret that The Temple in Ezekiel is something other than The Millennium Temple. Some view the last nine Chapters of Ezekiel to be Solomon’s Temple before its destruction in 586 B.C.E., B.C. but that is not possible because of the different dimensions of The Temple built by Solomon as those in Ezekiel’s description of The Temple. Then there are some who believe that The Temple in Ezekiel 40-48 is a description of the second Temple that was built by the Jewish exiles when they returned from the Babylonian exile in 516 B.C.E., B.C. But again, the description of the Second Temple is not the same as Ezekiel describes. Let’s look at some Christian doctrine that is omitted in EZEKIEL 44.23-27. VERSE 24 Christian doctrine has abolished all GOD’s Judgments, Laws, and Statutes that are written in The Law of Moses. And Christian doctrine does not Hallow, or make Holy GOD’s Sabbath on Saturday, the seventh day of the week. And Christian doctrine has abolished all GOD’s Sabbaths pertaining to His Festivals in Leviticus 23. All in violation of the Laws of The GOD of Creation. VERSES 25-26 I’m not sure if Christian doctrine observes these Laws, or not. VERSE 27 Christianity was established well after the destruction of the first and second Temples. Thus Christianity has never offered an animal sacrifice to The LORD for the atonement of their sins. Thus The Temple described in Ezekiel Chapters 40-48 is not a picture of the Church and its blessings in this age. The Temple described in Ezekiel 40-48 is a Jewish Temple that will be built in The Millennium when Messiah Yeshua returns to establish His Messianic Kingdom in Israel. And The Millennial Temple in Jerusalem will be for all who believe in The Jewish Messiah Yeshua, and as Isaiah 56.6-7 reads, For all who keep GOD’s Sabbath on Saturday and take hold of His Covenant. GOD’S Covenant is His Word, and His Law of Moses. VERSE 15 Reconciliation in Hebrew is KAH’FAHR meaning to make atonement for sins, and have reconciliation with GOD. So why do we need another atonement for our sins when we already have Messiah Yeshua as our Atonement? We don’t. We do not need another atonement. So why will GOD reinstate the animal sacrifice in The Millennium? And the animal sacrifices for atonement will be for those Jewish people whom GOD will gather from all the nations outside of Israel and bring them into The Messianic Kingdom in Israel at the start of The Millennium. They were not redeemed, nor were they resurrected or raised up the last day. And the animal sacrifice will be for those Jewish People who will remain in Israel at their Messiah’s return who also were not redeemed. And the animal sacrifice will be for those who will be born during The Millennium. And for Gentiles whom GOD will bring in during the Millennium. The animal sacrifices will be for them for the atonement of their sins, for reconciliation with their GOD. However, the person who dies in the Millennium and is right with GOD, who is obedient to His Law of Moses, Yeshua the Messiah says in JOHN 11.25-26, Though he were dead, yet shall he live. ZECHARIAH 14.10 The Land of Israel shall be turned as a plain, meaning it will be pure and sterile. ZECHARIAH 14.11 No more utter destruction means no more curse. And The Millennium will be a magnificent and perfect place to live. It will be like The Garden of Eden. A dwelling place of peace, gladness, joy, and thanksgiving and so much more. So why will GOD reinstate the animal sacrifice for atonement in The Millennium? Because it is GOD’s Law written in The Law of Moses that the animal sacrifice must continue when there is a Temple in Jerusalem. And there will be a Temple in Jerusalem during The Millennium. And the animal sacrifice for atonement will be for those people who enter the Millennium but were not resurrected or raised up the last day, nor were they redeemed. The animal sacrifice will atone for their sins. And by their obedience to the Holy One Of Israel, The Messiah Yeshua, they will join the Family of GOD, and inherit Eternal Life. Posted on December 29, 2013 Categories Uncategorized5 Comments on WHY WILL GOD REINSTATE THE ANIMAL SACRIFICE IN THE MILLENNIUM? THE ORDINATION OF THE JEWISH HIGH PRIEST. Shalom. Our teaching this morning will be about the ordination or the ceremony ordaining the Jewish High Priest who served The LORD in the Sanctuary. And portions of the ceremony are prophetic that concern The Messiah Yeshua. Our study will come from Exodus 29.1-33, and I’ll start by reading verses 1-7. So here are the things that were done to the Priests who served The LORD in the Sanctuary, to ordain them, and make them holy before The LORD. And many of those rituals are a shadow of things to come that concern The Messiah Yeshua. EXODUS 29.1 One young bull and two rams without blemish were to be killed and sacrificed for the Priest’s sanctification or holiness before The LORD, and for atonement for their sins. Atonement for sin, and sin is breaking the Law of Moses, 1 John 3.4 Atonement for sin by the sacrifice and shed blood of a clean animal according to GOD’s Law of Moses was introduced here at the ordination of the Jewish Priests some 1,400 years before the Jewish Messiah’s sacrificial death and atonement for our sins. Then you will receive GOD’s blessings, and His blessings will come upon you, and overtake you if you obey The LORD your GOD. And GOD will be well pleased with you, and that is your reasonable service. Peace is from The LORD. EXODUS 29.2-3 Unleavened bread, unleavened cakes, and unleavened wafers, GOD required with the sacrifices. Unleavened means they were made of matzah, unleavened bread. No leaven was in them. And no leaven was ever mingled with GOD’s sacrifices. EXODUS 29.4 As part of the ordination for the Priests, GOD commanded them to be washed with water for purification purposes, and holiness before The LORD. This is the origin of baptism that took place some 3,380 years ago at the ordination for the Jewish Priests. Judaism calls baptism miqveh which is an immersion in water. Thus miqveh or baptism was part of the ordination for the Jewish Priests, for purification and holiness before The LORD. The special clothing for the Priests included a priestly coat, a robe of the ephod, and the apron-like ephod. And the breastplate that had twelve gems set in gold settings, in four rows of three with the names of the twelve tribes of Israel engraved in them. And they wore a curious girdle which was a beautifully decorated belt or sash for the ephod. And a holy crown was placed upon their mitre which was a turban. EXODUS 29.7 The anointing oil is for GOD’s calling and choice of ministry for Aaron to serve The LORD as Priest in the Sanctuary. And the anointing oil was poured upon his head, and he was anointed. Question? How do you know that you are called by GOD and chosen to be part of His elect? DEUTERONOMY 7.6-9 has the answer. Then you are anointed, chosen of GOD to be a Holy People unto The LORD your GOD. To be a Special People to Himself above all the people that are upon the face of the earth. And then you become fully part of GOD’s Chosen and Special People. EXODUS 29.8-9 As part of that perpetual or everlasting statute, John the Baptizer’s father was a Jewish Priest who served The LORD in The Temple. He was a descendant of Aaron and his sons, a Levite. And John, like his father and mother was righteous before GOD, walking in all the Commandments and Laws of The LORD GOD, blameless. And for any person to make ready a people prepared for The LORD, as John did, he or she must have the Mind of Messiah, having love, fully obedient to GOD’S Word, and all His Statutes written in GOD’S Law of Moses. And knowing and believing there is only One GOD. John might have been a Priest being the son of a Priest. EXODUS 29.10-13 The animal sacrifice for the atonement of sins originated at the ordination of the Jewish Priests who ministered to The LORD in the Sanctuary. Today, because there is no Temple, and it is unlawful to sacrifice animals according to GOD’s Law of Moses, Yeshua’s voluntary death and shed blood is our atonement for our sins, and reconciles us to GOD. EXODUS 29.14 A sin offering is for atonement. Our sin offering today is Yeshua The Messiah. And it is written in Scripture from the lips of Yeshua that He came for the very reason to give His Life for an atonement for the forgiveness of the sins of many. VERSE 23 The hour has come. That is the time has come that The Son of Man should be glorified, to be killed for the atonement of many. And when Messiah was risen, and elevated to Heaven, He now receives honor, praise, worship and glory. VERSE 27 For this cause Messiah came to give His Life for our sins, and shed His blood to be our atonement. I have come to this time, Messiah said. fering is for atonement. One ram was for a burnt offering for a sweet aroma to The LORD. EXODUS 29.19-20 Perhaps putting some of the blood on the tip of their right ear was symbolic for hearing and obeying every Word spoken by GOD. And putting some of the blood on the thumb of their right hand, and upon the great toe of their right foot was symbolic for them to lead a GODLY life for The LORD in accordance to Torah, The Law of Moses. EXODUS 29.21 When Messiah returns, His robe will be dipped in blood, perhaps His blood when He gave His Life, revealing that He is our High Priest. EXODUS 29.22-24 VERSE 24 I believe the wave offering of the sacrifice before The LORD was prophesy of Messiah’s Resurrection, and forty days later, His Ascension into Heaven. Acts 1.3. Messiah’s Words, of course, were 100 % symbolic and metaphorical concerning Himself about His forthcoming death and shed blood to be our atoning Sacrifice. As the Jewish Priests ate the sacrificed animals, eating Messiah’s body, and drinking His blood was a figure of speech for receiving Messiah, and having absolute faith in Him, absorbing everything He is, and having the Mind of Messiah. EXODUS 29.28 The sacrificed animals were given to the priests for food. That is a statute forever. And Yeshua was telling the Jewish people, although it was hard to receive, He will be their Sacrifice for the atonement of their sins. In all fairness, the Jewish People did not know the Romans would destroy The Temple some forty years later that would end the animal sacrifice. Unless they read and understood Daniel Chapter 9. EXODUS 29.29-30 The priestly garments of Aaron the High Priest were passed on to his sons for them to be anointed in his clothing, and ordained in them. And the son that became High Priest in Aaron’s place wore the clothing of Aaron the High Priest for seven days when he entered the Sanctuary to minister to The LORD. This also is an ordinance forever for all future high priests. Yeshua, The Jewish Messiah, on the first day of Passover following His Seder, became our Atonement for the forgiveness of all our sins. He was killed, and shed His Blood. But previously at the Seder, taking a piece of matzah, Messiah said, Take, eat, this is My Body. This is symbolic of the Jewish Priests who ate the sacrificed animals, with matzah. And Messiah took the cup, and gave thanks, and gave it to them, saying, drink all of it, for this is My blood of The New Testament which is shed for many for the forgiveness of sins. It is written in The Law of Moses in Leviticus 17.11, “It is the blood that makes atonement for the soul”. And it is the blood of The Jewish Messiah Yeshua that makes atonement for our souls. And Yeshua is The New Testament, or The New Covenant that forgives us our sins, and remembers them no more. JEREMIAH 31.31-34. Thus many of the things that were done to the Jewish Priests in their ordination ceremony that were commanded by the LORD THEIR GOD were a shadow of a number of prophesies that are fulfilled in The Jewish Messiah Yeshua, especially at His first coming. And Jewish People should know that Yeshua was killed to be our Atonement. And Gentiles should also know that Yeshua was killed to be their Atonement. Posted on December 22, 2013 Categories Uncategorized8 Comments on THE ORDINATION OF THE JEWISH HIGH PRIEST. Shalom. Our teaching this morning will be from Exodus 29.1-4, and the message for the most part will be about baptism, a 3,400 year old ritual that originated when the Children of Israel were in the wilderness after their Exodus out of Egypt. EXODUS 29.1-3 The priests were compelled to be holy to serve The LORD in the Sanctuary. The LORD said to Moses, this is the thing you shall do to hallow the priests, Aaron and his sons, to minister to The LORD in the Sanctuary. The word hallow in Hebrew is KAH’DAHSH meaning to make them Holy. Take one young bullock, The LORD said, that is a young bull, and two rams, both without blemish, and unleavened bread. Unleavened bread in Hebrew is matzah, and unleavened cakes which in Hebrew are KHAH’LOTE that are made with matzah, tempered or mixed with oil, and unleavened wafers that are thin cakes made with matzah, anointed or spread with oil of wheaten flour. That is choice wheat flour shall they be made. And you shall put them in a basket and bring the young bull and the two rams with it. The young bull and two rams were for a sacrificial offering to make atonement for the sins of the priests. And to make them, the priests, Holy. Nothing changes today. To be Holy before The LORD our GOD, atonement is still required by Ha Shem, The LORD GOD through a sacrificial offering and its shed blood. But without a standing Temple today in Jerusalem, it is unlawful according to GOD’s Law of Moses to sacrifice animals. However, the single-most important action of The Messiah Yeshua at His first coming 2,000 years ago was His appointed death to be our Everlasting Sacrificial Atonement for the forgiveness of our sins, and for reconciliation with The GOD of Creation. For Leviticus 17.11 reads in The Law of Moses, “It is the blood that makes atonement for the soul”. Yeshua The Messiah, GOD Almighty in the flesh, as a human being, gave His Life, and shed His Blood to be our Atonement and Reconciliation with The Most High GOD, The Holy One of Israel. For that, the world should be grateful to the Jewish people. And Judaism should have a better understanding for why Yeshua was killed. He was killed to be our Atonement. EXODUS 29.4 In Judaism, this washing with water is called in Hebrew MIQVEH which is a collection of water for the purpose of immersion for ritual purification. In Christianity, the word is baptism. The origin of baptism is Jewish. Baptism originates from The Torah, The Law of Moses. In fact, everything written in The New Testament including the appearance of Yeshua The Jewish Messiah originates from The Law of Moses and the entire Old Testament. So Moses was commanded by GOD to bring the priests to the door of the Tabernacle and wash them with water, or miqveh them, that is immerse them in water for a ceremonial act of purification before The LORD. MARK 1.4-5 GOD sent John the baptizer, or Yochanan the immerser to baptize, and preach the baptism of repentance for the remission of sins. It’s important to know what repentance is. Repentance is turning from all our sins that we have committed. Sin is breaking The Law of Moses, 1 John 3.4. And then we must turn to GOD and obey all His statutes that are written in The Law of Moses, and do that which is lawful and right. That is repentance. Thus John preached the baptism of repentance for the remission of sins. For the remission of sins means, for the forgiveness of our sins, and for reconciliation with The GOD of Creation, Yeshua The Messiah. And many Jewish people were immersed by John in the Jordan River confessing their sins. Let’s look at GOD’s explanation for repentance. How important is true repentance? GOD has only One Law for all mankind. And that Law is The Law of Moses. He does not have one law for the Jewish people and different laws for everybody else. In fact GOD’s Law of Moses is also for the Angels in Heaven, and for GOD Himself to live by. Thus when we obey Torah, The Law of Moses we are in the best of company, The LORD GOD, Who is Yeshua the Messiah, the Angels of GOD, the Prophets, the Apostles and other greats in the Bible. Deuteronomy 32.1-2. MARK 1.6-8 Messiah Yeshua baptizes with The Holy Spirit. Question? How are we baptized with The Holy Spirit? Answer. By believing in The Messiah Yeshua, being baptized and repenting of our sins. Turning from all our transgressions, and doing that which is lawful and right by obeying all GOD’s statutes. That is how we are baptized with The Holy Spirit. Yeshua says, “If you love Me, keep My Commandments and you will receive The Holy Spirit”. Yeshua’s Commandments are The Law of Moses. He is Elohim, GOD Almighty, Who gave The Law to Moses between the cherubim, above the ark of the covenant, in the Sanctuary in the wilderness. VERSE 20 Yeshua and The Father are One and the same. There is only One GOD. Yeshua is The Father, and The Father is Yeshua. GOD’s transcendent nature that goes far beyond ordinary limits, and in no way resemble a man or a woman’s nature, cannot be fully understood or expressed in human terms. But this we know from the lips of GOD spoken in Scripture. There is only One GOD, and there is none else beside Him. GOD is The Father. He is The Messiah, and He is The Holy Spirit. And His Name and Title together with His other great Names and Titles is Yeshua The Messiah. Thus Yeshua teaches us that He is in The Father, and we are in Him, and Messiah is in us. God being in us, and we being in GOD is the fullness of being baptized with The Holy Spirit because we love Him, and keep His Commandments. VERSE 21 When we obey GOD by obedience to all His Statutes, His Law of Moses that includes belief in Messiah Yeshua, that is proof we love Messiah Yeshua. And that results in being loved by The Father. And Messiah loves us. And GOD reveals Himself to us giving us a greater understanding of GOD. VERSES 22-23 When we love Messiah, and keep His Commandments, The Law of Moses, Messiah teaches us that The Father will love us. Messiah Yeshua and The Father are The Holy Spirit. And The Holy Spirit will come into us, and make His home with us. VERSE 24 The person who does not love Messiah proves it by not obeying His Words. Messiah’s Words are The Law of Moses seeing that He is Elohim, GOD. s, and brings all things to our remembrance whatsoever Messiah has taught us. The Holy Spirit would never teach that The Law of Moses has been abolished. And The Holy Spirit would never teach the trinity of three different and distinct gods. The Holy Spirit is The One GOD, and He is The Spirit of Truth. Thus being baptized with The Holy Spirit is according to Yeshua’s teaching. If you love Me, He says, Keep My Commandments. GOD, Who is Yeshua The Messiah, commanded His disciples to go, and teach all nations, baptizing them in The Name of The Father, The Son, and The Holy Spirit. The One GOD of Creation is the Father, The Son and The Holy Spirit. He is Elohim, Yeshua The Messiah. Teach all nations, He said, to observe all things whatsoever I have commanded you. And I am with you forever. Every Word Messiah taught came from Old Testament Teaching. There was no New Testament Bible written at the time. False teachings about Messiah came later. VERSE 42 The apostles’ doctrine is this. Yeshua is The Messiah, and He is GOD Almighty, The Holy One of Israel. And when you believe in Messiah Yeshua you have been sanctified by The Spirit unto obedience, obedience to GOD’s Law of Moses. So in conclusion, baptism or immersion in water is a Jewish ritual. GOD established the ceremony some 3,400 years ago with the priests as an essential part of being holy before The LORD. GOD’S ANOINTED. YOU, ME, AND OTHERS. Shalom. Our teaching this morning will be from Exodus 28.38-43, but first we will start with verses 36 and 37. EXODUS 28.36-38 A gold plate on Aaron’s mitre, or his turban, had the engraving, “Holiness to The LORD”, and it was worn on Aaron’s forehead. And GOD said that Aaron may bear the iniquity of the holy things. That is Aaron the high priest was responsible for any sin that might occur in the Sanctuary because of imperfections or impurities with the animal sacrifices. Or in the Holy of Holies that contained the Ark of the Covenant. It was the responsibility of the high priest for the table and the showbread that was outside the Holy of Holies. His responsibility also included the seven branch menorah, the altar for the animal sacrifices, and the animal sacrifices, the altar of incense, and the clothing for the priests. These were all holy gifts from the children of Israel in which they contributed to in making them. Aaron the high priest will bear the iniquity of the holy things in the Sanctuary if anything is not according to GOD’s commandment. It is a statute forever to Aaron the high priest, and his descendants after him. And the gold plate with the engraving “Holiness to The LORD” must always be worn upon Aaron’s turban on his forehead so that the Children of Israel will be accepted before The LORD. EZEKIEL 18.21 GOD’s statutes are The Law of Moses. EXODUS 28.39-40 These are parts of the priestly garments. An embroidered coat of fine linen. Their mitre or turban was made of fine linen. And the belt or sash was made of needlework. And the priestly garments for the other priests, Aaron’s sons were made for glory and beauty, similar to the high priest’s clothing. EXODUS 28.41 Moses was told by GOD that he should put those garments upon his brother Aaron, and his sons, and anoint them, and consecrate them. Literally installing them as priests. And sanctify them that they may minister to The LORD in the priest’s office. That is, to serve The LORD as priests. Anoint means chosen by GOD for a special purpose. And anointing oil is poured upon the person’s head. Aaron and his sons were chosen by GOD to serve Him as priests in the Sanctuary. Therefore they were anointed by Moses, and consecrated. That is, they were anointed and installed to serve The LORD as priests. Mah’she’akh, Yeshua The Messiah is chosen by GOD even though Messiah Yeshua is The One GOD of Creation. He is sent by GOD, Isaiah 48.16-17, and chosen by GOD for a special purpose. And He is consecrated. That is, GOD has installed Messiah Yeshua to be THE MESSIAH for GOD’S special purpose. And we will discuss Messiah’s anointing later in the study. Sanctify in Hebrew is KAH’DAHSH meaning to make Holy. Holy is being devoted and dedicated to The LORD, and to the work of The LORD. And set apart for GOD’s service. GOD says, “You shall be Holy, for I The LORD your GOD am Holy”. And GOD has no sin in Him. Leviticus 19.2, 1 Peter 1.15-16. LEVITICUS 8.12 This is the moment that Aaron was anointed and sanctified, made Holy, and set apart to serve as high priest before The LORD. And later on, because of King Saul’s disobedience to GOD, The LORD told Samuel to anoint David, who in time after many troubles from Saul, became King of Israel after Saul’s death. ISAIAH 45.1 GOD calls Cyrus His anointed. Actually His messiah because GOD anointed Cyrus to free the Jewish people from Babylonian exile. Thus says Yehovah to His anointed (here the Hebrew word is Mah’she’akh for Messiah) to Cyrus. This prophecy was spoken some 200 years before Cyrus was born. Cyrus freed the Jewish People, and GOD’s prophecy was fulfilled when Cyrus became king of Persia. VERSE 3 You act as though you are Canaanites born of heathen parents. Heathens, by definition are people who do not acknowledge The GOD of The Bible. They do not recognize the authority of GOD. They do not obey His Laws. And GOD’S Laws are the Law of Moses. GOD anointed Israel and the Jewish people for a special purpose. Paul and Isaiah explain that special purpose. ROMANS 9.1-5 GOD adopted the Jewish People for His purpose. GOD revealed His Glory and Presence to Israel that many call His Shikynah. The Covenants belong to the Jewish People. 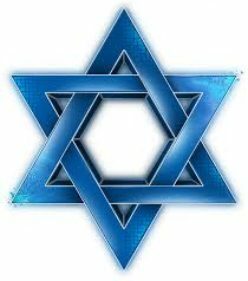 GOD gave The Law, The Law of Moses to the Jewish people for Israel and all the world. Deuteronomy 32.1, John 1.1. The Jewish People serve GOD in the Temple, their Synagogues, and elsewhere. All GOD’s promises are given to the Jewish People. The fathers, Abraham, Isaac, and Jacob are Jewish, and are theirs. And Messiah Yeshua in the flesh, as a human being was born from the Jewish people. Yes, GOD anointed the Jewish people. And ISAIAH 43.10-13 We are anointed to be GOD’s witnesses, and to teach the world that there is only One GOD, that He is our Saviour and our Deliverer. satan is an anointed cherub to deceive the world, and lead mankind Away from The Truth. But GOD has anointed The Messiah Yeshua to deliver us from the clutches and deceit of satan. To turn us to GOD to obey His Law of Moses that GOD put into our hearts when we received Messiah Yeshua. Good tidings, or good news to the meek. The meek are those who are humble, who receive Messiah Yeshua and obey GOD’s Laws, His Law of Moses. To proclaim liberty to the captives. Messiah delivers us from the grip of satan and his lies. Messiah frees us by turning us to GOD Who has put His Law of Moses in our hearts to obey them. Thus freeing us from sin. And opening the prison to them that are bound. Serving satan by disobeying GOD’s Law of Moses is being bound in prison; That is death. But obeying GOD and His Law of Moses that includes belief in Messiah Yeshua, opens the prison to Life. The acceptable Day of The LORD might mean His first and second comings. And The Day of Vengeance of our GOD might mean His Return to destroy the world because of sin, disobeying GOD’s Law of Moses, Isaiah 24.4-6, and the great white throne judgment, Revelation 20.11-15. To appoint to them who mourn in Zion, to give unto them beauty for ashes, the oil of joy for mourning, the garment of praise for the spirit of heaviness, that they may be called trees of righteousness, the planting of The LORD that He will be glorified. That will happen when The LORD returns to establish His Messianic Kingdom in Israel. The oil of joy and praise. Thus you are anointed by GOD, chosen to be Holy and set apart for GOD, to be forgiven your sins through Messiah’s Atonement, to be His witnesses, to obey Him, to have eternal Life in Heaven and to be loved by GOD, and so much more. Posted on December 8, 2013 Categories Uncategorized1 Comment on GOD’S ANOINTED. YOU, ME, AND OTHERS. Today is the third day of Hanukkah. It’s an eight day holiday, and although it is not a commanded Festival of The LORD in Leviticus 23, Hanukkah is a celebrated and important time for Israel and all Jewish people, and all those who love Jewish people. Thus our message this morning will be about Hanukkah and the events found in prophecy that lead up to Hanukkah, and the heroism and bravery that brought it about. But first, let’s look at some background on Hanukkah, the Festival of Lights. Hanukkah in Hebrew means Dedication. It’s also known as Hag-Ha-Urim, the Festival of Lights. Hanukkah honors the memory of the rededication of the second Temple in 165 B.C.E., B.C, the same Temple Yeshua The Messiah walked in, and taught in. The rededication took place immediately after the Jewish people were victorious over the Syrian armies who persecuted the Jews killing thousands and auctioning thousands into slavery. This is the Hanukkah story. The Syrians polluted the Temple of GOD with Greek idols and pig sacrifices. The king of Syria, Antiochus Epiphames also ordered the end of all Torah observance including Saturday Sabbath observance, and the end of circumcision, as some European nations are trying to enforce today. Possession of a Torah scroll was unlawful, all punishable by death. These atrocities are called pogroms. Pograms, which are organized massacres especially against Jews, have been committed against the Jewish people for thousands of years. The Holocaust killed six million Jews in Europe. Almost one half of Judaism. Nazi hatred destroyed and burned one thousand Synagogues; seven thousand Jewish businesses were destroyed or damaged, Jews were beaten to death by Nazis; while many Jews were forced to watch. Jewish cemeteries were destroyed. Torah scrolls, prayer books, Jewish artwork and philosophy books, and works of Talmud were burned. Antiochus Epiphames, the king of Syria in the days of Hanukkah was not the first. Thus the historical ethical failure of various organized religions of the nations. And no wonder Israel is concerned about the nuclear treaty made with Iran and the major world powers. Iran threatens to wipe Israel off the map. It is interesting to note that the Torah scrolls which contain the Laws GOD gave to Moses for the Jewish people and all mankind to obey is still rejected, and hated by much of the world’s population today. All a work of satan who was the engine of Antiochus Epiphames, and hitler and all anti-Semites. Hanukkah, the rededication of the Temple, and the great victory over the Syrians is an eight day holiday and a time of joy and thanksgiving. The Hanukkiyah, the eight branch menorah, is lit every evening for eight days starting with one candle and adding a candle every evening. Why? Because when the Temple was rededicated, pure oil that was found in the Temple was only sufficient to burn the great menorah inside the Temple for one day. But miraculously, the oil burned for eight days until more oil was provided for the menorah to burn continuously. Spinning the dreidle and giving little gifts to children are popular during Hanukkah. The Sephardim, Jewish people originally from Spain and Portugal recite Psalm 30 on Hanukkah, while Psalms 113-118 called The Hallel or praise, are read by most Jewish people on the Holiday because GOD is our Salvation Who delivers us from the enemy. Let’s read Psalm 30. Hanukkah is about an historical event about a maniacal Syrian king Antiochus Epiphames, a forewarning of adolph hitler and the soon-coming anti-Christ, who hated the Jewish people, and despised the Torah, The Word of GOD that contains GOD’s Law of Moses. And Antiochus Epiphames sought to convert the Jewish people to his own religion. Much like the great anti-Semite Martin Luther in the 1500’s. Antiochus Epiphames killed thousands of Jews, but finally the Jewish Maccabees, a guerilla warfare group, defeated the Syrian army in Israel, and booted them out of the Land. DANIEL 8.1 King Belshazzar was the king of Babylon. The time of the prophecy was around 535 B.C.E., B.C. some 700 years before Hanukkah. The Babylonian empire consisted of today’s Israel, Syria, and Iraq up to the Tigris River. And the Jews were in exile in Babylon at the time. DANIEL 8.3 The ram, explained later is symbolic of the great Persian empire. 2 horns are symbolic of the kings of Persia and Media. Media was northern Iran. Media and Persia are today’s Iran. The Persian empire included the entire middle East, including Israel, and Ethiopia to India. Today’s Iran the head. The one horn higher than the other symbolizes Cyrus the great, the founder of the Persian empire. DANIEL 8.5 The he goat explained later is symbolic of Greece, to the west of Persia/Iran. The notable or great horn was Alexander the Great. DANIEL 8.6-7 The Persian empire, the ram, was defeated by the Greek armies, the he goat, led by Alexander the Great who was 20 years old at the time. This prophecy of GOD was given to Daniel some 200 years before Alexander the Great was born. DANIEL 8.8 These events all lead to Hanukkah and the maniac Antiochus Epiphames, who persecuted the Jews. Greece became a great empire. The great horn that was broken was Alexander. He died at 33 years of age. The four notable or great horns that took Alexander’s place were four of his generals that ruled four kingdoms. General Cassander ruled Macedonia – Northwestern Greece, and Southern Albania, north of Greece. General Seleucus ruled Syria, Babylon, today’s Iraq, Phoencia, today’s Lebanon, and Israel. This little horn is not the anti-Christ, but he is like the anti-Christ of the future. This little horn is Antiochus Epiphames, the Jew-hater, and mad man who persecuted Israel, despised Torah, and desecrated the Temple. The same evil spirit as the future anti-Christ. And the pleasant land is Israel that was ruled by the Syrian king Antiochus Ephiphames. DANIEL 8.11 Antiochus magnified himself saying he was Theos Epiphames, GOD manifested. He boasted that he was GOD. The Prince of the host is GOD, The Holy One of Israel. And Antiochus dedicated The Temple to the Greek gods, Olympia and Zeus. He abominated it. DANIEL 8.12 A host was given to the Syrian king. The host were the Jewish people. 40,000 were killed, and 40,000 were auctioned into slavery. Against the daily sacrifice means the Syrians were given the charge of the daily sacrifice, using pigs. By reason of transgression. GOD brought this judgment upon the Jewish people because of their transgression against The LORD their GOD. They disobeyed His Law of Moses. It cast down the Truth. Antiochus abolished the Truth, GOD’s Law of Moses. Who obeys Torah today? DANIEL 8.13-14 How long will the Jews be persecuted? For 6 1/2 years, and then The Temple will be cleansed of all its idolatry. When it was cleansed, Hanukkah was declared. DANIEL 8.15-17 The time of the end is the end of Syrian rule, and persecution of the Jewish people in Israel. DANIEL 8.18-19 This indignation is GOD’s fury and anger because of Jewish disobedience to Him. DANIEL 8.20-22 The power is the power of GOD. DANIEL 8.23 When the transgressors are come to the full. When Israel’s sin is full and complete in a bad sense, and GOD has had enough, THE LORD WILL BRING ANTIOCHUS the mad man to judge His people with persecution because of their continuous sinning against The LORD their GOD, transgressing The Law of Moses. And this Antiochus was of fierce countenance. He was ugly, strong, harsh, greedy, and rough. And he understood dark sentences, tricks, deceit, dishonesty, the characteristics of satan. And he, Antiochus will stand up. Antiochus Epihames was appointed by GOD. This is an interesting Scripture, especially verses 10 and 11. Delusion means a false belief. And the Lord God has sent that delusion of false belief upon those who will not receive the love of the truth. The love of the truth is belief in Messiah Yeshua Who is the Messiah and the One God of Creation, The Holy One of Israel. And Obedience to God’s Laws that are written in the Law of Moses. That is the love of the truth to be saved and delivered, belief in Messiah Yeshua, and obedience to GOD’s Laws that are written in the Law of Moses. DANIEL 8.25 His policy, that is Antiochus, his evil wisdom and understanding caused craft to prosper. His lies and deceit succeeded. His peace was a false peace. And he stood up against the Prince of Princes, The Messiah Yeshua, The Almighty GOD. And he was broken without hand. GOD killed Antiochus by disease one year after the first Hanukkah. DANIEL 8.26-27 The vision was from evening to morning. And no one understood it. But we understand it because it is history. It is Hanukkah. The Maccabees, Judah Maccabee, and Jonathan, Johanan, Eleazar and Simon formed a guerilla army of fighters, and defeated the Syrians, and kicked them out of Israel. And the people returned to The Temple and saw pigs on the altar, and idols in the Sanctuary, and torn Torah scrolls, and they cleansed it, and rededicated The Temple to their GOD, The GOD of Israel, Who is Messiah Yeshua. Posted on December 1, 2013 Categories Uncategorized3 Comments on HANUKKAH IN PROPHECY.